Description: The Quantum Collection. 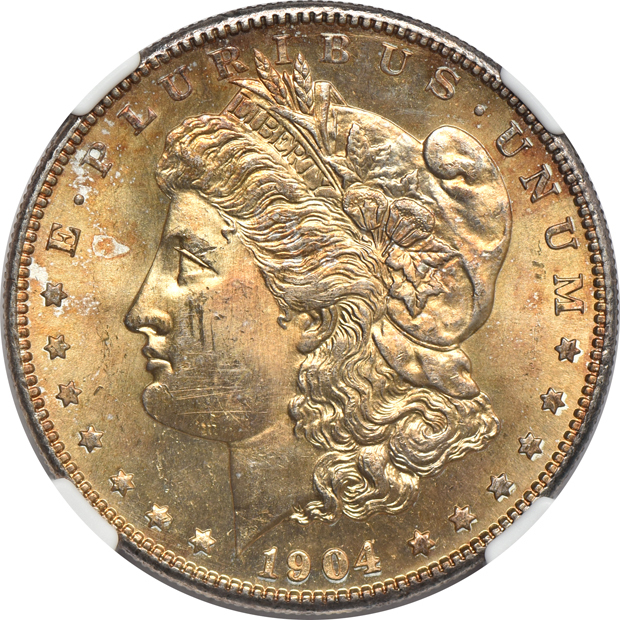 It's pretty obvious that upon resubmission, this 1904-S has a great chance of gleaning a straight-grade, as the orange molten-lava toning on the reverse is hardly THAT out-of-place on a silver dollar. Barring the tone (and cynically, some might say "upon removal of the tone"), expect to see a grade of MS-63 or so, which would make this quite the find for a judicious speculator. 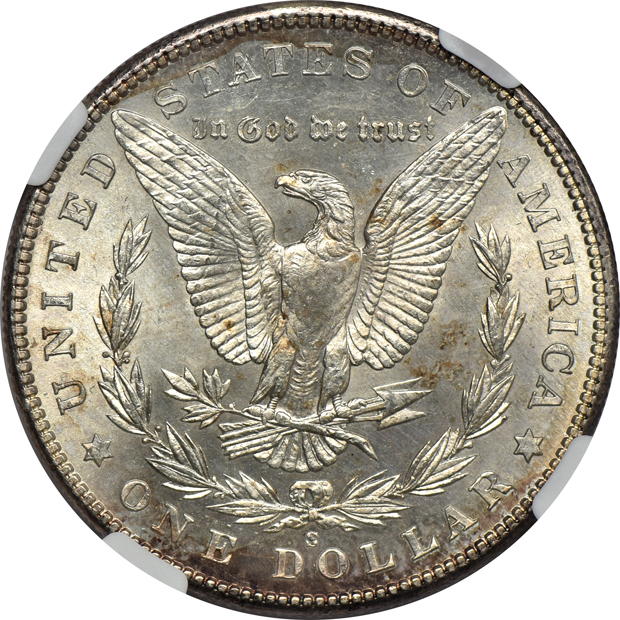 For comparison, see an 1895-S in today's sale from the same collection, showing the same hue, and straight-graded by the same NGC.